Here in Hopewell and Prince George County, we are surrounded by water. One of our greatest geographic assets is fantastic waterfront access. Situated at the confluence of the James and Appomattox Rivers, our area is an ideal fishing destination and folks come here from miles around to try their angling luck. 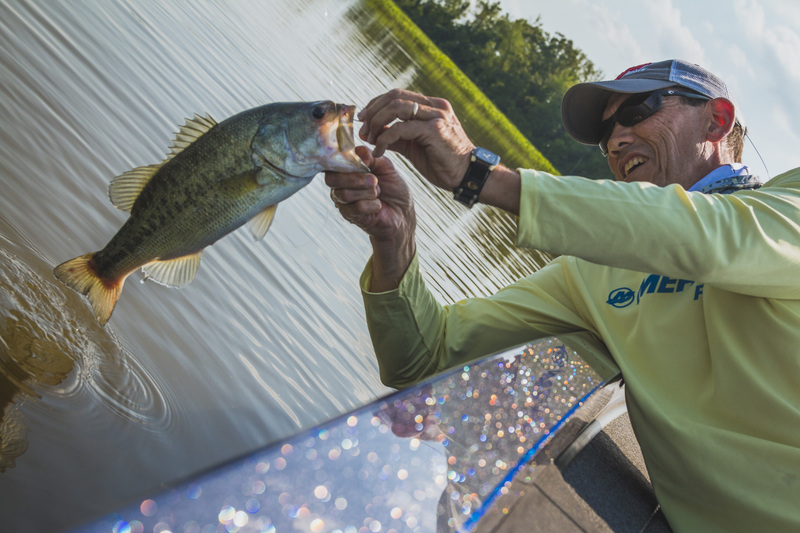 Recently, I got to tag along with a local pro and fishing legend, Frank Poirier to do exactly that. I met Frank one afternoon at Jordan Point Yacht Haven in Prince George County for a dual purpose; to take some photos of local attractions from the water, and to snag a big one. It was exciting to go out with a reel pro (see what I did there!?) on his state of the art bass boat and have him show me some of the best fishing holes around. We boarded his super sporty Ranger boat and slipped out of the harbor, heading east down the Appomattox River first. If you are using a motorized boat, there are several places to launch. 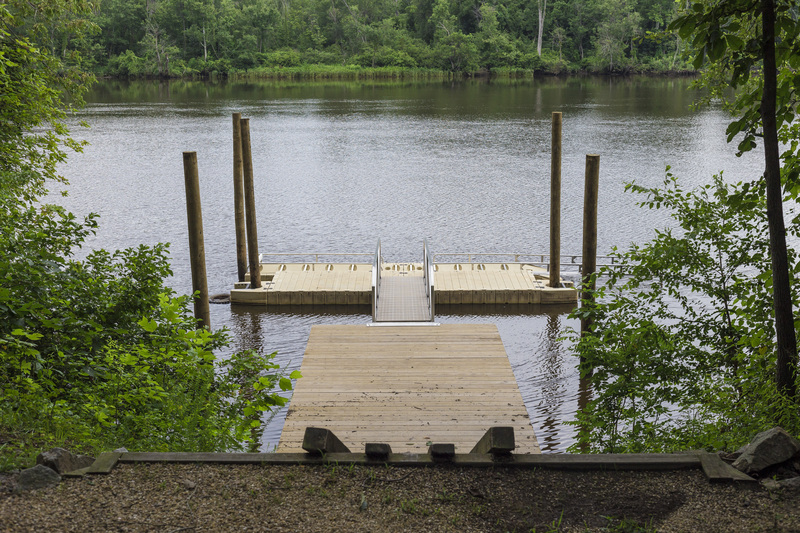 Jordan Point Yacht Haven, located in Prince George County, is one of the most popular facilities for slipping or launching your water craft. Nearly destroyed some years ago during a hurricane, Jordan Point Yacht Haven has been totally renovated. Newly constructed docks and piers, a marine supply shop, snack bar, and even a pool make this an all-around fun place to visit, even if you don’t have a boat. Grab yourself a fresh biscuit from Crabby Mike’s before you hit the water. If you are looking for something closer to the city, perhaps the Hopewell Marina or Anchor Point will suit your needs. Both are also ideal places to keep or launch your boat and are mere minutes away from excellent fishing spots. 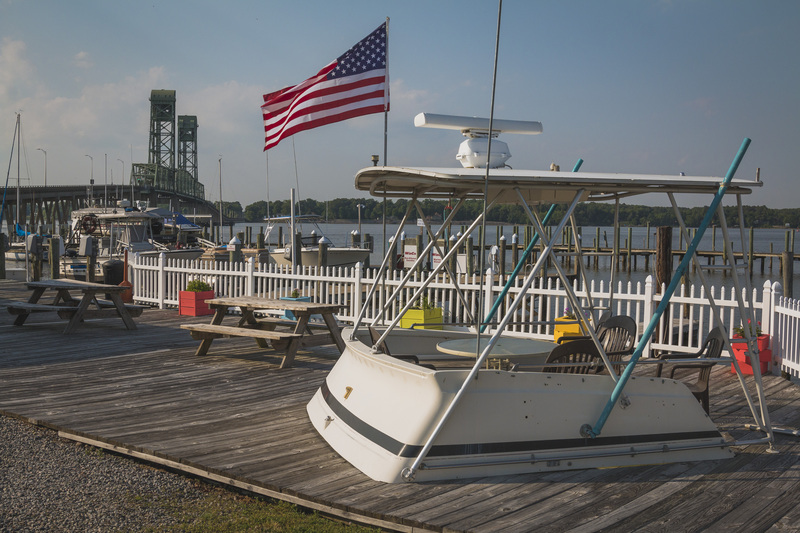 At the Hopewell Marina, check out the ship’s store for all your maritime essentials before heading out on the river. A little farther up river is Anchor Point Marina. This marina boasts a snack bar, marine repair facilities, and even showers. If canoeing or kayaking is more your speed, you can put in at each of these locations, or, check out the new canoe and kayak launch at Appomattox River Regional Park right on the border between Prince George County and Hopewell. Along with hiking trails and picnic pavilions, the fine people at Friends of the Lower Appomattox River (FOLAR), in partnership with the Hopewell Rotary Club, installed a lovely canoe launch adding to the park’s amenities. The river is narrow here, too, so you can easily paddle across and explore some of the twisting and turning waterways of Point of Rock’s Park (Chesterfield County). The fishing is good in this area because you have access to varying habitats for diverse species of fish. With so many Ospreys and Eagles making this part of the river their home, you know the fishing’s good! Lush vegetation lines large parts of the river bank. In other areas, fish swarm and breed in the shallows while giant catfish lurk at the bottom of deep channels. In recent years the elusive and ancient marvel, the Sturgeon, has made a comeback and is frequently seen in these waters. Just be careful that one doesn’t knock you out of your boat! They’ve been known to breach and hit people as they motor or paddle across the water. According to Frank, one of the best spots around is on the James River, just west of Westover Plantation. About ten minutes by boat from Jordan Point Yacht Haven, Herring Creek feeds into the James River near Westover Plantation. At the mouth of the creek is a large marshy area. Here it is relatively shallow and dense plant life peaks above the surface of the water. Fish come here to breed and frequently gar breach and flop, almost dragging themselves as if stuck in a mud flat. Within moments of cutting the boat’s engine, Frank had pole in hand and a line in the water. It wasn’t long at all before he started pulling in substantial-sized largemouth bass. Almost every other cast yielded some hit on his line and within 30 minutes, he had reeled in half a dozen fine largemouth specimens. “This is my passion. I could come out here every day and never get tired of it”, Frank said. I am not a keen angler, but, looking around at the water, the dense trees lining the river bank, the leafy pads blanketing the surface, and the birds of prey floating above, I could completely agree with him. This was a fantastic way to spend an afternoon, and I couldn’t help but wonder why it’s something I didn’t do more often. Perhaps, now that I have that one man canoe out of storage, I will be spending more afternoons this way. All of this is great for the locals, but a lot of our waterfront assets are known to people near and far. Jordan Point Yacht Haven is the only place near Richmond where boat owners can find ethanol-free fuel. There are not a lot of repair facilities in Richmond proper, either, so some bring their boats down to Anchor Point just for cleaning a maintenance at their Marine Repair facility. 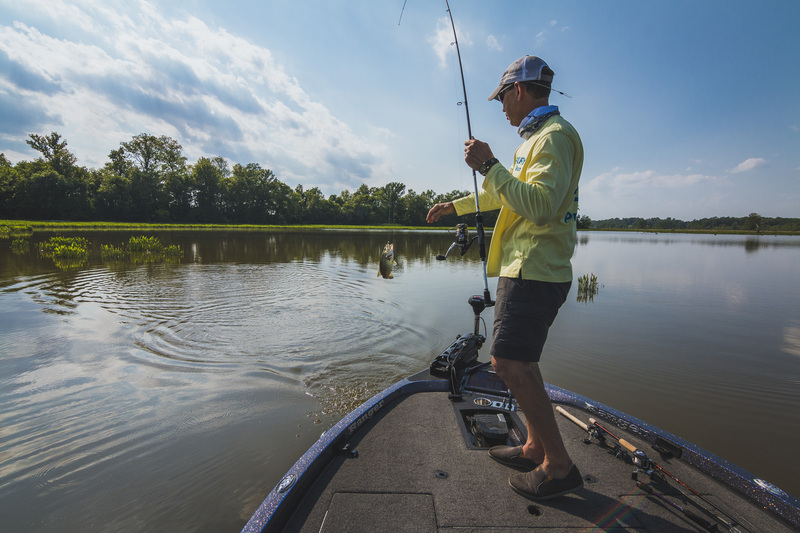 Considering the local maritime amenities and the quality of the fishing in these parts, it’s no wonder that Hopewell and Prince George County are among the top water recreation destinations in the region. Come and see it for yourself. I would give you more details about the best fishing spots, but then Frank would have to kill me.